In theory, this should be an interesting election for health care issues. After all for the past few years, the debate about Obamacare has been about what might happen: would it cover millions of people as expected, or would it be a total disaster, like Republicans claimed. 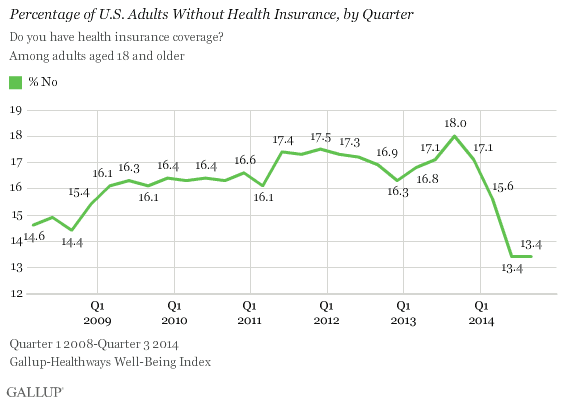 Now we can see what is happening: Obamacare is working. All of which naturally leads to an important question for Republican candidates: what happens to all those people if you repeal Obamacare? Unfortunately it’s not a question they’ve had to answer. Obamacare has been especially successful in Kentucky: about 500,000 Kentuckians have gained coverage, most of whom were previously uninsured. 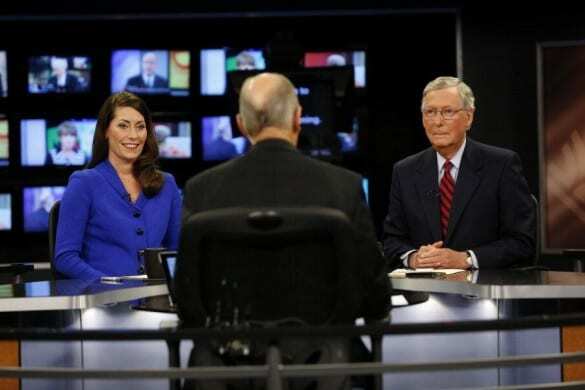 During a recent debate with his Democratic challenger for Kentucky’s Senate seat, Mitch McConnell was asked what would happen to Kynect, Kentucky’s popular exchange website (which many residents don’t know is part of Obamacare), and the Medicaid expansion if Obamacare was repealed. Similarly, Kentucky could choose to keep the Medicaid expansion if Obamacare were repealed. However, the federal government is currently paying the entire cost (eventually its share will phase down to 90%)– Kentucky, one of the poorest states in the U.S. by income, would have to come up with the $350 million per year itself (and possibly much more as more people sign up). Realistically that’s not going to happen. This isn’t the first time that McConnell has implied that Kentucky could keep the popular parts of Obamacare even after repeal, and it would have been a perfect opportunity to ask him what should happen to the half million Kentuckians who would lose coverage. His opponent, Allison Grimes, actually brought this up, but it was overshadowed by the media focus on her relatively trivial gaffe of refusing to say who she voted for in 2012. “That’s not gonna happen,” Kasich told The Associated Press during a recent re-election campaign swing. Obamacare … helps people? The opposition is political or ideological? It should therefore be judged by its actual effects on human lives? Those ideas may be bleedingly obvious, but you can’t say them. “I have favored expanding Medicaid, but I don’t really see expanding Medicaid as really connected to Obamacare,” he said. If Republicans take the Senate, Kasich said, “you better believe they’re gonna repeal Obamacare and I agree with that.” But, he added, “there’s got to be an accommodation” for Medicaid expansion. 1. What would happen to the 155,000 Ohioans who enrolled through the Obamacare exchange? These people would all lose their current coverage if Obamacare were repealed. Most of them were uninsured before Obamacare, either because they couldn’t afford coverage or had pre-existing conditions– would they just be out of luck? 2. Would Kasich support still support Obamacare repeal if it meant losing the Medicaid expansion? Republicans in Congress are pretty hostile to Medicaid– recent GOP budgets have proposed massive cuts to the program, so if they did somehow manage to repeal Obamacare, the expansion would almost certainly be gone. Would Kasich still support a repeal bill then? Or, as with Kentucky, technically Ohio could keep the Medicaid expansion if Obamacare were repealed, but the state would have to pay for it. Presumably he’d have to raise taxes to cover the $840 million per year cost— would he? 3. If you think about it, Kasich’s position is pretty weird. He identifies as a conservative, yet supports Medicaid, a single-payer health system for the poor, while opposing Obamacare’s private coverage insurance exchanges for the middle class. How does he explain that? Again, none of these questions has been answered. Arkansas Times notes that Republican Senate candidate Tom Cotton has repeatedly dodged questions about what would happen to the more than 210,000 residents who got coverage through the state’s Medicaid expansion and the 40,000 people who purchased coverage through the exchange if Obamacare were repealed. Even when asked specifically about it at a recent debate, he managed to talk for two minutes without once mentioning the fate of these 250,000 Arkansans. One reason Republicans haven’t had to answer questions about Obamacare repeal is that Democrats haven’t pushed them on it– the competitive races this year are mostly in conservative states where Democrats aren’t in a hurry to bring up anything related to President Obama. However, the political journalists who actually get to talk to GOP candidates haven’t pushed them either; instead they’ve focused on gaffes that are easy to understand, but much less important. It seems incredible that we still don’t know what GOP candidates propose to do about the millions of Americans who would lose coverage as a result of their policies. Here’s hoping we find out before the election.